Sophia Mulanovich "2015 Woman of the Year"
The first and only Peruvian World Champion, Sofia Mulanovich even held the only South American World Title — man or woman — for a full decade until Brazil’s Gabriel Medina broke the mold in 2014. Born in Lima, Peru in 1984, Mulanovich took to the water at a very young age; learning to swim at three, bodyboard by five, shortboard by nine and began beating the boys in local contests by 12. So it was only natural that the young regularfoot would continue her progression until ultimately reaching the sport’s highest pinnacle. After garnering her first sponsor in 1996, the pre-teen began receiving coaching from Magoo De La Rosa. And by her 13th year, she made the quarterfinals of the US Open of Surfing. In 1998, she went on to win the Pan-American Championships in Brazil and, by that point, has amassed five Peruvian national titles. These countless accolades all pointed towards her professional campaign on the WQS, in which she qualified for the WCT in her second season. 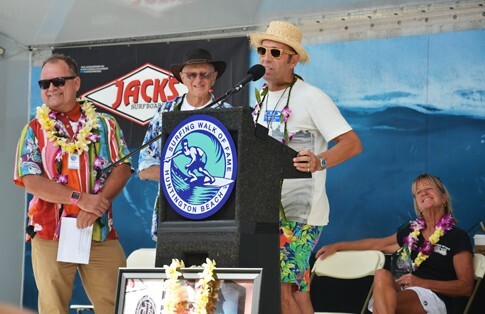 Keeping the ball rolling, Mulanovich was awarded the 2003 WCT Rookie of the Year award, finishing in the Top 10 her first year. Next up was a ISA Gold Medal in 2004, in which she anchored the Peruvians to a historic 4th place overall. She also took three WCT wins that year in Fiji, Tahiti and France and was ultimately crowed the 2004 ASP World Champion. That feat was extra-heroic, not only because she was the first-ever South American World Champ, but Mulanovich dethroned Layne Beachley’s dominance of women’s surfing after six-straight World Titles. 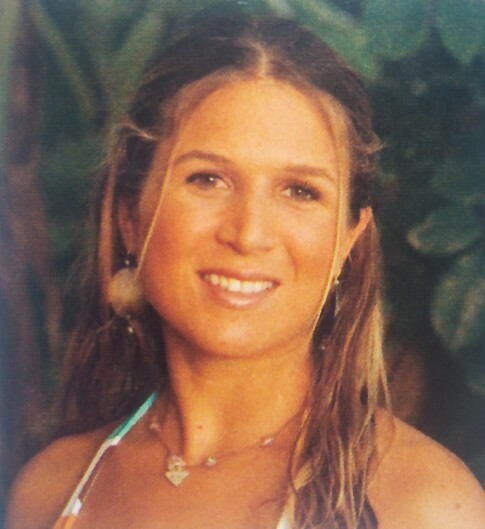 With a competition resume as large as her heart-warming Peruvian smile, Mulanovich’s legacy is now cemented into surfing’s history books for eternity with today’s Surfing Walk of Fame honor. PHOTO: Induction Day 2015, Peter "PT" Townend, Don MacAllister, Fernando Aguerre accepting the award for Sophia. Photo courtesy Sharon Marshall.